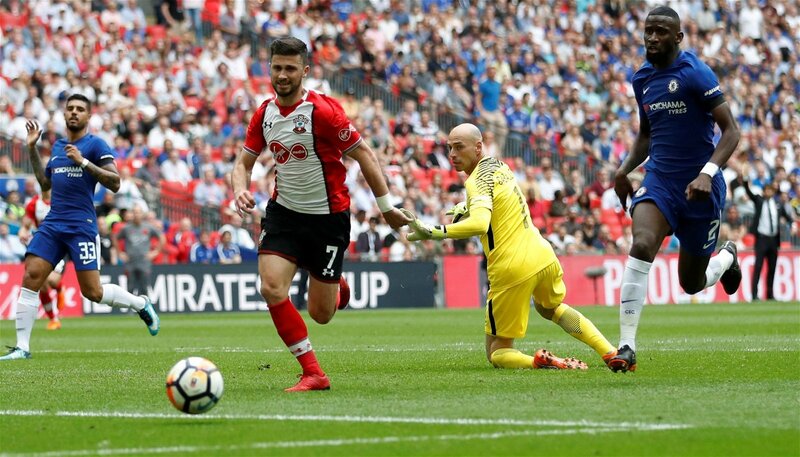 Southampton’s goalless draw against Leicester City on Thursday and their 2-0 FA Cup semi-final defeat to Chelsea at Wembley on Sunday were just two more signals that they remain on course for the Championship next season. Saints went into their must-win clash against the Foxes on the back of a 3-2 loss and collapse against Antonio Conte’s men at St Mary’s, well aware that they were running out of time to save themselves. However, it seemed as though they were so determined not to lose and to keep things tight at the back – which was no surprise given they had suffered four successive top flight defeats and conceded 12 goals in the process – they didn’t really go and try and win a game against a Leicester side that were ultimately there for the taking, with Shane Long wasting their best opportunities. It has left the south coast outfit on the brink and while they will be just four points from safety heading into their match against local rivals Bournemouth at home on Saturday, the fact that they have one league win in their last 21 attempts and have tasted success just five times all season – against 10-man West Ham, both Crystal Palace and Everton when they were in dire straits, and twice against West Bromwich Albion who are bottom of the standings and in an even worse position. The cup encounter against Chelsea was a chance to put in a positive performance with the pressure off in many ways, and while the players did ok in the first half, to find themselves 1-0 down just 30 seconds into the second period summed up their whole season – especially as it could have easily been avoided from a defensive point of view. 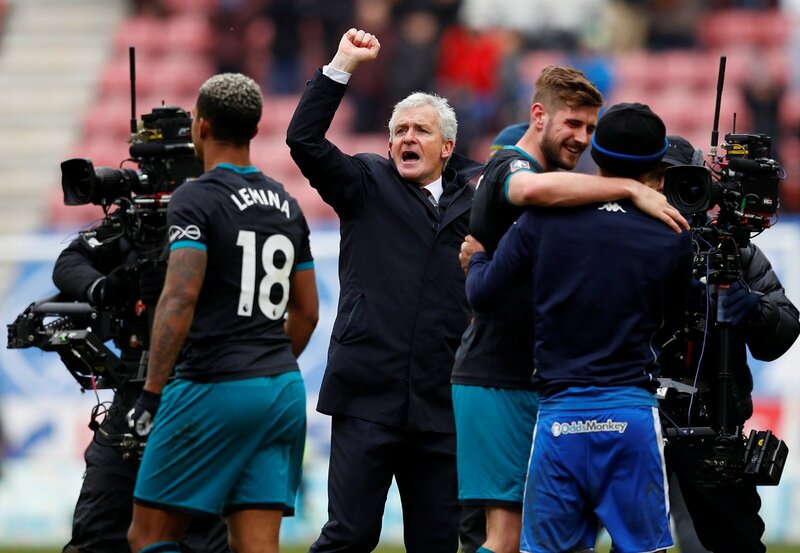 Mark Hughes’ men now have four top flight matches to save themselves, and anything less than three wins from those will probably be not enough for a side that will likely be without Sofiane Boufal, who looks to have played his last game for the club. Given they have only won five all season and have one Premier League win since the end of November – and with few signs of improvement from a defensive point of view especially – it is difficult to see that happening and the south coast outfit realistically need to start preparing for life in the Championship. It is a notoriously difficult division, and while the board and the majority of Saints supporters may be happy to keep the Welshman in charge next season should the worst happen, they should in fact consider appointing someone else instead. While Hughes has proven he is a decent manager during his career, he has never managed in the Championship, and while Nuno Espirito Santo has done fantastically well with Wolves this term – albeit with plenty of help in terms of recruitment – it says it all that the likes of Neil Warnock, Slavisa Jokanovic and Gary Rowett are all challenging at the top end of the table. They are managers that know the division like the back of their hands now, and they know what is required to win games on a consistent basis promotion. 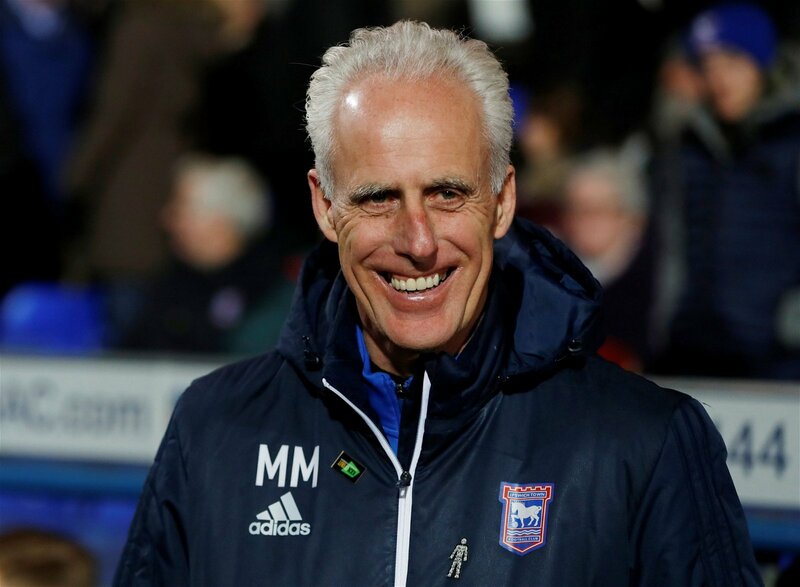 The same couldn’t be said for Hughes, and given he is only on a contract until the end of the campaign, the Saints hierarchy should have been alerted to the news of Mick McCarthy quitting Ipswich Town earlier this month. The 59-year-old worked on a really tight budget at Portman Road for five-and-a-half years before his departure, and while he was unable to win promotion to the Premier League with Town, he did do achieve it previously with both Sunderland and Wolves. McCarthy has proven himself as a more than solid boss at this level, and with some money behind him – with the parachute payments – he would certainly fancy his chances of taking Southampton straight back up to the top flight, and he would be a popular figure for the St Mary’s faithful because of his personality. The club won’t have too much time to waste if they want an immediate return to the Premier League, and they should get the 59-year-old in place as soon after the current season has concluded as is possible, to ensure they are best prepared to get themselves sorted and hit the ground running. The former Republic of Ireland boss may not be the long-term appointment that some supporters would be hoping for, but they need a manager that knows the Championship – even more so having seen Sunderland’s second successive relegation – to ensure they don’t find themselves in trouble again next term.